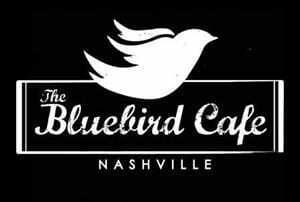 Nashville’s Bluebird Cafe is getting ready to kick off “Birdsongs,” a series of shows presented to benefit the Bluebird. BirdSongs will kick off June 1 with an extra special evening of songs and stories; Nashville Hall of Fame songwriters Sonny Curtis, Richard Leigh and Jim Weatherly will start the evening with a 6:00 PM show. This will be followed by the 9:00 PM show featuring long-time Bluebird friend, supporter and Hall of Fame songwriter, Don Schlitz, along with Grammy winners Vince Gill and Amy Grant with special guest Mary Chapin Carpenter. Reservations for both shows are available beginning tomorrow morning (5/26) at 8:00 AM at www.bluebirdcafe.com. When Amy Kurland decided to retire, she recognized how important it was for The Bluebird Café to stay in the hands of the writers whose songs established the club’s legendary status. The Nashville Songwriters Association International (NSAI) was honored to be asked to steward this important venue and NSAI’s Board of Directors voted unanimously to accept Kurland’s invitation, acknowledging that The Bluebird Cafe belongs to the songwriters who have made it famous and those who will continue to do so. No other performance space encompasses the history of Nashville’s songwriting community nor has provided the proving ground for songwriters as has The Bluebird Café and NSAI was honored that Amy would consider bequeathing her legacy to Nashville’s songwriters. In honor of this legacy and commitment, The Bluebird is seeking help from the songwriters it has long supported, to ensure the future of the club. And they are rallying to support the venue that has long provided the opportunity for them to be heard. For the BirdSongs campaign, all songwriters are donating their performances beginning with the Bluebird’s Birthday month of June and periodically throughout the rest of the year. All door admission from June 1-July 3, both early and late shows, will go towards providing a solid foundation for the future of The Bluebird. The BirdSongs campaign will help ensure that The Bluebird Café will continue to be here for both the songwriters and our friends in the community for many years to come. A preview of June’s BirdSongs events can be found on line at www.bluebirdcafe.com. Shows will be added as they are confirmed. Reservations will also be available on the website.